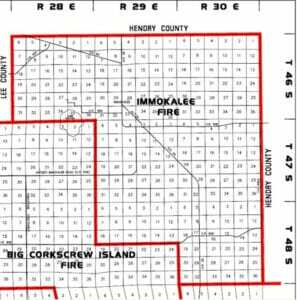 laws relating to the Immokalee Fire Control District pursuant to s.
District, are hereby codified, reenacted, and amended as herein provided. 28, 29, 30, 31, 32, 33, 34, 35, and 36 of Township 48 South Range 30 East. law or special law, as said laws may be amended from time to time. as said laws may be amended from time to time. said laws may be amended from time to time. Section 7. This act shall take effect upon becoming a law. Approved by the Governor May 22, 2000. Filed in Office Secretary of State May 22, 2000.